Hello friends, hope your week is off to a good start. I'm happy to launch my newest pdf pattern today, yay! This one is for a beginner friendly drawstring tote bag. It's perfect to show off some of your very favorite prints (this Maker print is my absolute favorite at the moment) and just the right size for everyday use. I think it would make a great library bag, too. I love these triangular boxed corners. They are super sturdy and so very easy to sew, no squaring up corners needed :). Definitely a win - win combination. Plus, they add a fun little feature to this everyday tote. The finished size is about 15.5" tall and 15" wide. Once again I've enlisted help from some super talented ladies to test out my pattern. Ready? Here we go. 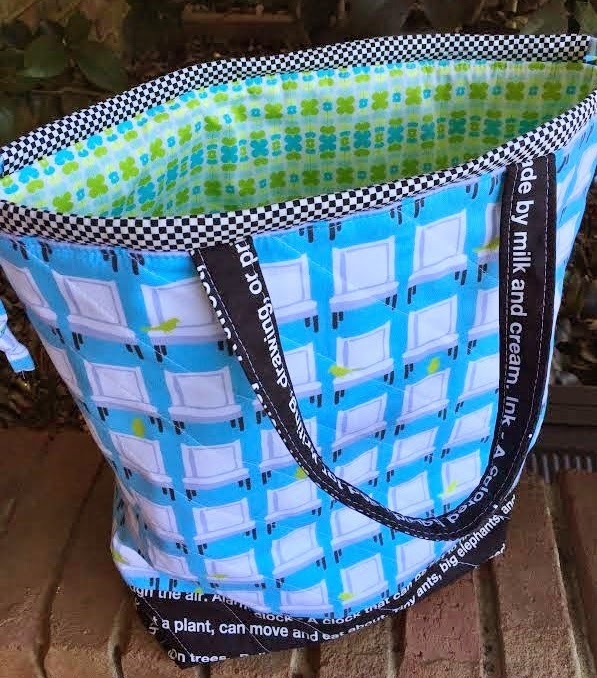 I'm in love with this fresh color combo as well as tiny black and white check binding Yvette chose for her tote - perfection for sure. 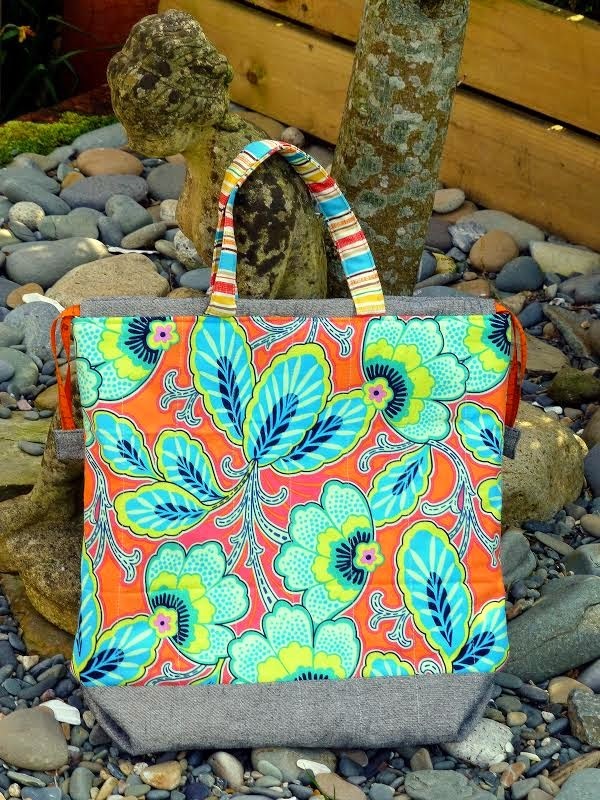 My beautiful friend Judith made this gorgeous, classy, large print tote. Don't you just love that wonderful ribbon and tabs she added? A winner for sure. 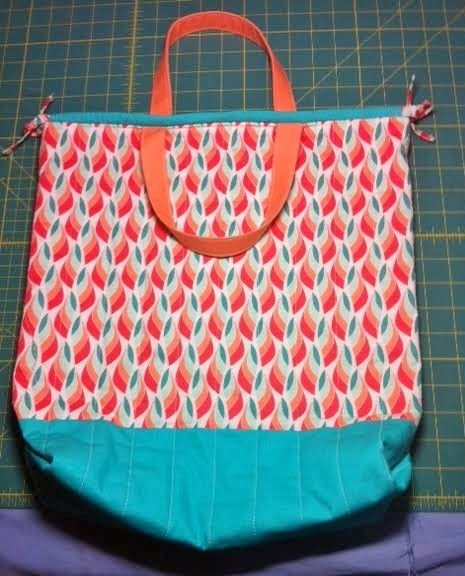 Stephanie made this pretty orange + aqua tote. Such perfect fabric combo. Love the sweet lining, too. 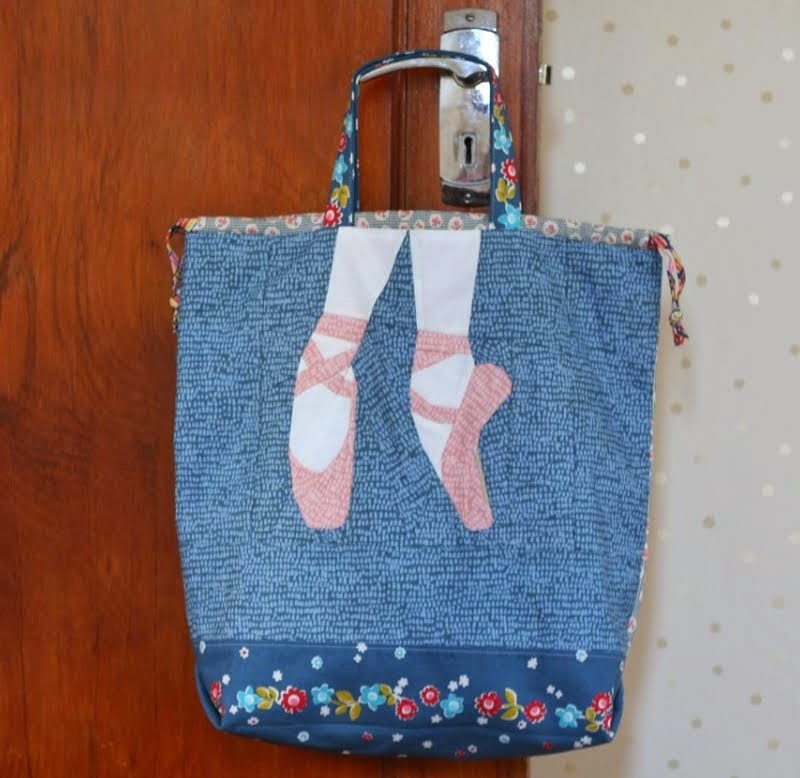 And then there's this stunning ballet bag my amazingly talented friend Rachel made for her daughter. That Rachel has some seriously mad skills. All the little ballerinas are sure to be jealous :). 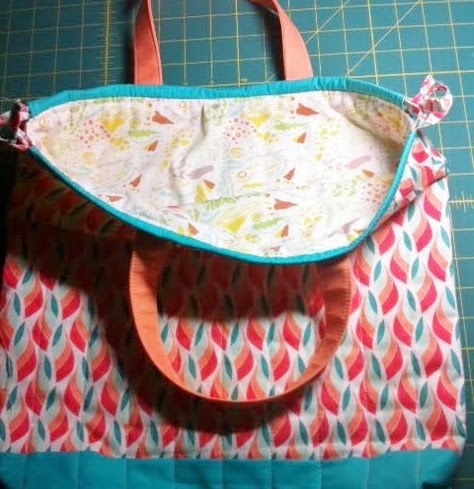 Last, but definitely not least, is this sweet tote made by Tara. Beautiful!!! A great big thank you to all the ladies who volunteered to test this pattern for me as well as provide some very useful notes and feedback on how to improve it. You're amazing, I appreciate each and every one of you. 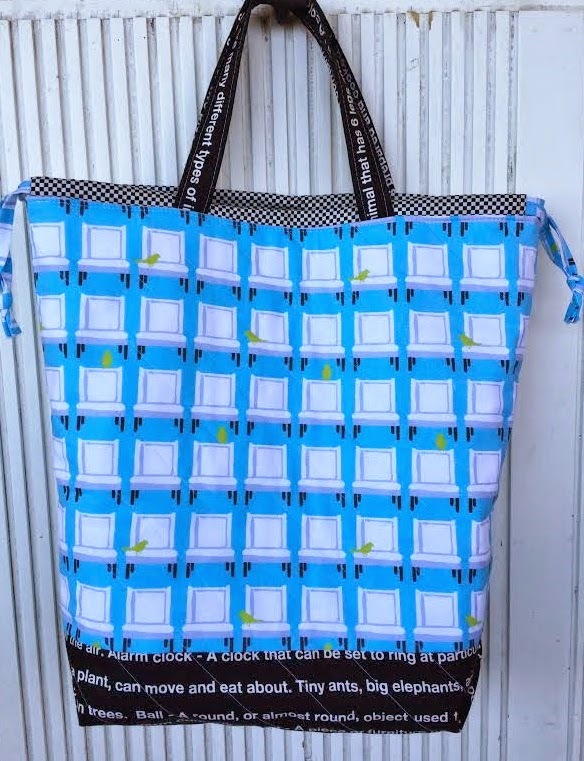 If you'd like to make a drawstring tote of your own, you can purchase pdf instant download pattern by clicking on the button below or by visiting my etsy shop here. (All my pdf patterns are available worldwide). I'm offering this pattern at a discounted $5.00 price for the next 48 hours. After that it will go up to its regular $7.00 price. Nice quilts, fabrics, patterns and tutorials!